I got a better photo of a black squirrel on the trail camera this week. 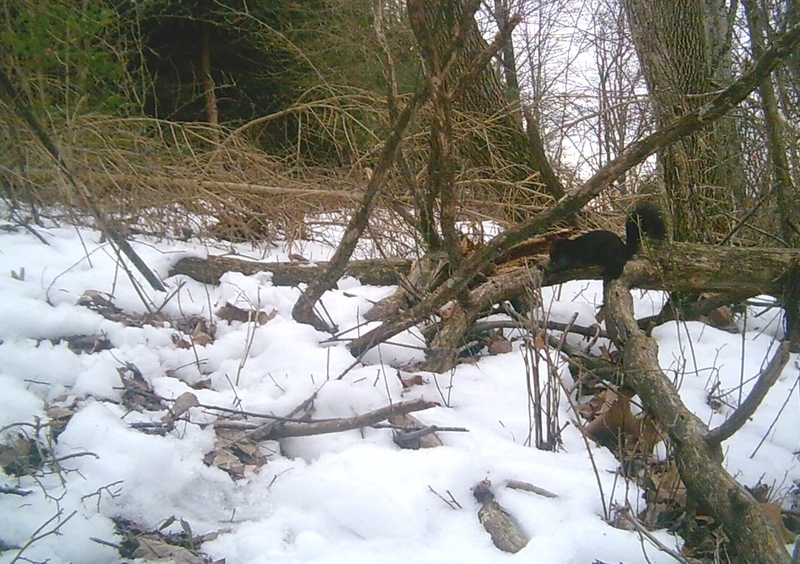 Melanism in Eastern gray squirrels does have some advantage in heavily forested environments. I have a lot harder time seeing the black ones against tree trunks and branches, especially if the leaves are on. However, if one of these squirrels runs out in the open, it is obvious to every hawk that might be staking out the area.